While President Barack Obama's standing in Washington has dropped a notch or two in the year since he and his family last spent their holiday vacation in this beach community, the thrill is definitely not gone for many Kailuans about him coming back. Associated Press. While President Barack Obama and his family have been coming to Hawaii for vacation almost every year, it will be the first island visit for "First Dog" Bo. If he passes a veterinary exam when he lands, he'll be allowed to follow the Obama ohana to Kailua immediately. Hawaii News Now. First lady Michelle Obama, daughters Malia and Sasha, and dog Bo arrived at the beach community of Kailua over the weekend, but President Obama is still in Washington waiting for the lame duck Congress to wrap up its pre-Christmas work. USA Today. U.S. Sen. Daniel Inouye is chiding his Senate colleagues for shelving an omnibus spending measure in favor of a short-term resolution keeping expenditures at current levels. Associated Press. For 10 years, Hawaiian citizens have requested island wide and U.S. Government official hearings of the Native Hawaiian Government Reorganization Act that would reclassify Native Hawaiians as Native Americans and establish a separate, sovereign, race-based nation on all islands of the archipelago. Hawaii Reporter. Oahu will remain under a flash-flood watch through this afternoon following a rain-soaked Sunday that saw a storm-related fire knock out power to parts of Ala Moana Center on the last shopping weekend before Christmas, the closure of the Honolulu Zoo and City Hall, an overwhelmed sewer system that burst manhole covers and wrong-way drivers trying to avoid flooded streets. Star-Advertiser. A Flash Flood Watch has been extended for all Hawaiian islands through Monday afternoon as deep tropical moisture is drawn up by a strong low pressure system west of the state. Hawaii News Now. An out-of-season tropical cyclone has formed west of Hawaii. The Central Pacific Hurricane Center says Tropical Storm Omeka was located 505 miles south of Midway Atoll, or about 1,210 miles west of Lihue, Kauai. Hawaii News Now. The bulk of the heaviest rain was Saturday night.KHON2. As heavy rains fell on parts of the state on Sunday, Department of Health officials issued warnings about coastal waters. KITV4. Heavy rains caused sewer lines to back up into people's homes in Kailua and a sewage spill in Hawaii Kai. KITV4. A Brown Water Advisory was issued Sunday for Kaua‘i due to heavy showers. Garden Island. Washington Place, the historic home to Hawaii’s last queen and previous governors, has fallen into disrepair.KITV4. Hawaii's new governor completes his Cabinet by selecting a trial lawyer with 33 years experience in litigation. Civil Beat. David M. Louie, a trial lawyer and managing partner with the Honolulu law firm of Roeca Louie & Hiraoka, was nominated yesterday by Gov. Neil Abercrombie to be Hawaii's next attorney general. Star-Advertiser. Gov. Neil Abercrombie on Sunday announced he has chosen David Louie to be his attorney general. KITV4. Former Honolulu Mayor Mufi Hannemann has been named president of the Hawaii Hotel & Lodging Association. Associated Press. Kamehameha Schools plans to convert a four-story office and retail building at 680 Ala Moana Blvd. into loft-style apartments for rent to households at or below the median income level. Star-Advertiser. 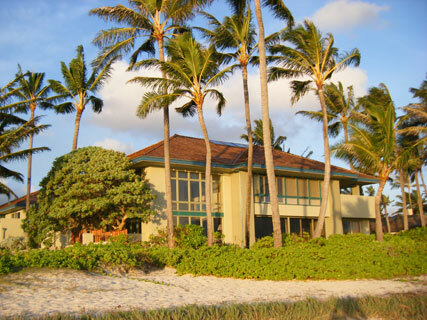 With the median sale price of a Big Island home down 5.8 percent from the same time a year ago, it's still a buyer's market -- and the buyers are starting to return. Tribune-Herald. Across the country, a few of the millions of people who have had their homes foreclosed are counterattacking in the courts. Maui News. Last week, we looked at some measures the new administration might want to consider to improve the business climate in Hawaii and reduce the burden on taxpayers and consumers who continue to struggle to make ends meet. But finances and taxes are not the only things that need fixing. West Hawaii Today. For most of its 40-year history, Kumu Kahua Theatre has told Hawaii’s story through theater, offering talented local playwrights and actors a crucial venue for their craft, and giving the Hawaii community new perspectives on its island home. Many of its productions have become statewide touchstones, such as the hits Folks You Meet at Longs by Lee Cataluna and Wild Meat and the Bully Burgers by Lois Ann Yamanaka. Hawaii Independent.